RM joined the Disini & Disini Law Office first as a Legal Assistant prior to becoming a Junior Associate in 2017. Before joining the Firm, he worked as an intern at the UP College of Law’s Office of Legal Aid. Assigned to the Firm’s Litigation Department, he has handled and assisted in the litigation of various civil, criminal, and administrative cases. As a member of the Disini Data Privacy Core Team, he has been heavily involved in data privacy research, as well as in the compliance audit of the Firm’s clients. RM received his Bachelor of Arts degree in English Studies – Language from the University of the Philippines – Diliman in 2011. 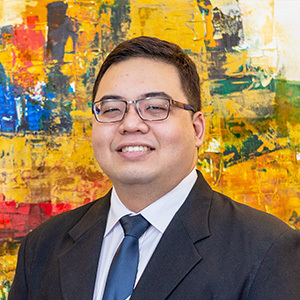 He obtained his Juris Doctor degree from the University of the Philippines College of Law in 2016 and passed the Philippine Bar Examinations in 2017.